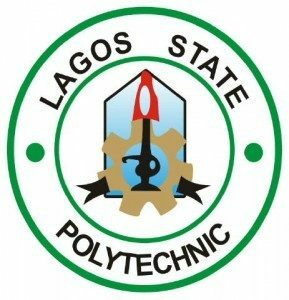 Lagos State Polytechnic, LASPOTECH ND and HND part-time admission forms for 2017/2018 academic session are out on sale. Interested persons should read the guidelines below to apply for admission. UPDATE: LASPOTECH Part-time Application closing date extended to Friday, September 29, 2017. The School of Part-time Studies (SPTS) invites candidates to apply for admission National Diploma (ND) and Higher National Diploma (HND) programmes available at LASPOTECH for the 2017/2018 academic session. The Part Time programme is designed for candidates in gainful employment. SSCE or WASCE or GCE ‘O’ Level or NECO or NABTEB with at least 5 Credits obtained at not more than 2 sittings, which must include English Language, Mathematics and three other relevant subjects related to the programme of study. 1. Candidates who want to apply for LASPOTECH HND Part-time programme are required to satisfy SSCE/GCE/NECO/NABTEB entry requirements for the corresponding National Diploma programme. ii. Click on the “2017/2018 Admission Applications” link on the Navigator plane. Sales and Submission of LASPOTECH Part-timee admission application form closes on Wednesday, July 30th, 2017. The sales and submission of admission form for Part-Time Day, School of Part-Time Evening and School of Part-Time Regular for the 2017/2018 academic session are also extended to close on Friday, September 29, 2017.